Astronomers at NASA have used the Hubble Space Telescope to capture a very rare event: A star, dubbed 'Nasty 1,' cannibalizing another star nearby, and producing a giant, pancake-shaped gas disk in the process. The cannibal star, discovered several decades ago, was called “Nasty 1,” not only because its catalogue name of NaSt1, but also because of its weird behavior. It was described as a Wolf-Rayet star, a massive rapidly evolving star that quickly sheds its hydrogen-filled outer layers, which leads to an explosion of its super-hot and extremely bright helium-burning core. However, Nasty 1 turned out to be nothing like the well-researched Wolf-Rayet candidate, Eta Carinae, which has twin lobes of gas flowing from opposite sides. The NaSt1 star surprised the astronomers using NASA’s Hubble Space Telescope by having a vast pancake-shaped gas disk of gas, nearly 2 trillion miles wide, encircling it. The scientists said that the disk may have formed from an unseen companion star that snacked on the outer envelope of Nasty 1. “We think there is a Wolf-Rayet star buried inside the nebula, and we think the nebula is being created by this mass-transfer process. 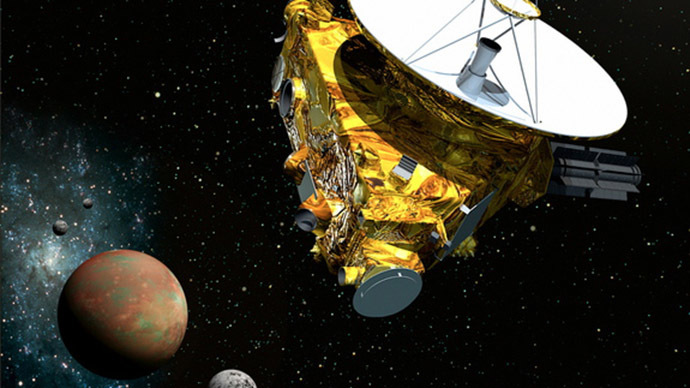 So this type of sloppy stellar cannibalism actually makes Nasty 1 a rather fitting nickname," study leader Jon Mauerhan, of the University of California, was cited as saying by NASA’s website. The nebula around Nasty 1 and its companion, located some 3,000 light-years from Earth, is believed to be just a few thousand years old. 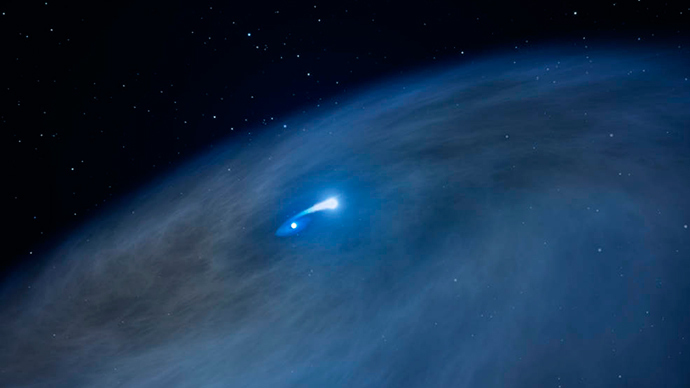 “We were excited to see this disk-like structure because it may be evidence for a Wolf-Rayet star forming from a binary interaction," Mauerhan said. Observing Nasty 1 one has been a tough task even with the capabilities provided by the Hubble Telescope. The team is still unable to establish the mass of the stars and the distance between them as their system is heavily cloaked by gas and dust. 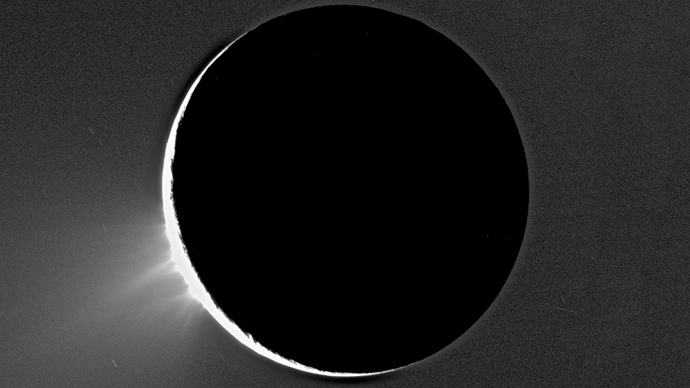 However, the effort was worth it as "there are very few examples in the galaxy of this process in action because this phase is short-lived, perhaps lasting only a hundred thousand years, while the timescale over which a resulting disk is visible could be only ten thousand years or less," Mauerhan said. The disk around Nasty 1 will dissipate due to the Wolf-Rayet star, eventually running out of material.